Had a nice bird come in slowly from a long way off, gobbling all the way. At around 35 yards, he quickly turned and went back out to about 60 yards. Then a lone Jake came scooting in and that was too much for the old boy. I got him at 20 yards. 21 pounds, 10" beard, 1" spurs. I was shaking from the excitement and it was the most fun I've had in some time. 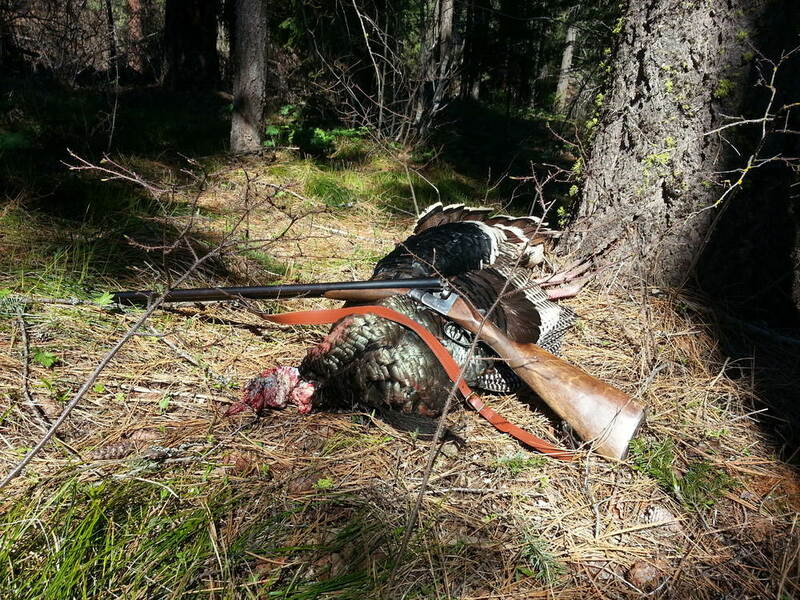 Same old turkey gun I always use, 1929 Spanish proof, no makers mark. Tightest chokes of any gun I own, throws a great pattern with a 2-3/4" shell. I always wonder what they were shooting in Spain 90 years ago that took chokes like this. Wicked! As they say in Maine. Oh man! Nice bird. Love the gun.